"FRAGILE (FRA-GEE-LAY) it must be Italian!" "FRAGILE (FRA-GEE-LAY) it must be Italian!" 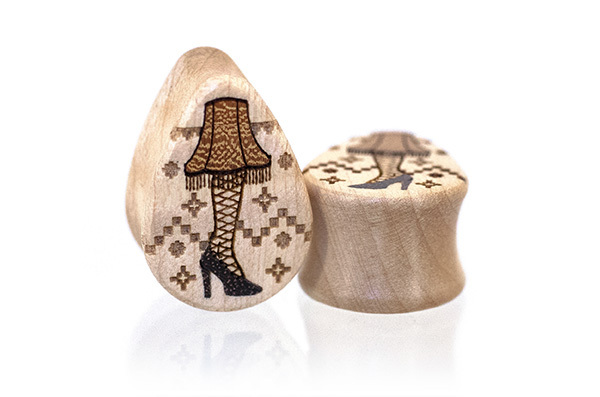 This holiday teardrop plug style is inspired by the movie A Christmas Story and it's infamous leg lamp, aka "a major award". 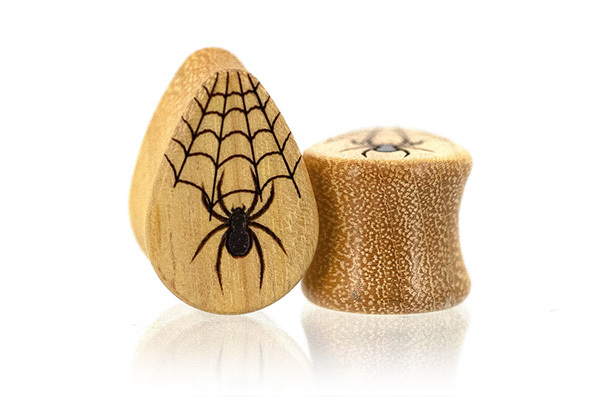 If you haven't seen the movie, you should, and if you have, you're probably going to need these plugs. Crafted in Curly Maple inlayed with Osage Orange & Katalox and etched with "ugly sweater" detailing. Today is International Bat Appreciation Day! This is the time when bats begin to emerge from hibernation. Bats are amazing creatures and can eat up to 1,000 mosquitoes in an hour! If you hate mosquitoes as much as we do you should build a bat house for your yard. 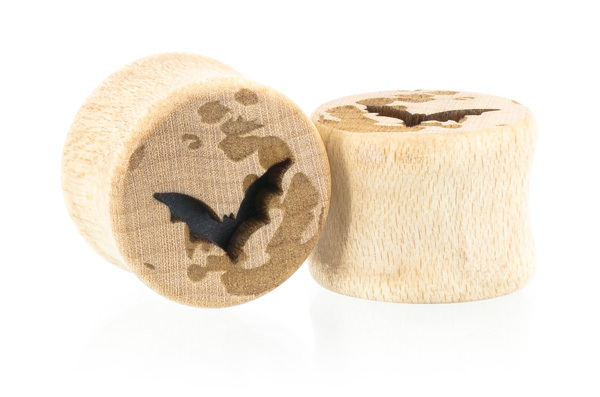 If you don't have a yard our bat plugs are a great way to show your love for the bats! 2ga to 1-1/4" Crafted out of Beetlekill pine inlaid in Granadillo wood. 00ga to 1-1/2" Crafted from Chechen wood. Cross-grain cut Cherry Wood is a gorgeous golden brown hue with a subtle yet impressive air, and a chatoyant quality that makes this style really shine. Sizes range from 1-13/16" to 2-3/4"